Ada pertanyaan untuk Slow Citi Hostel? 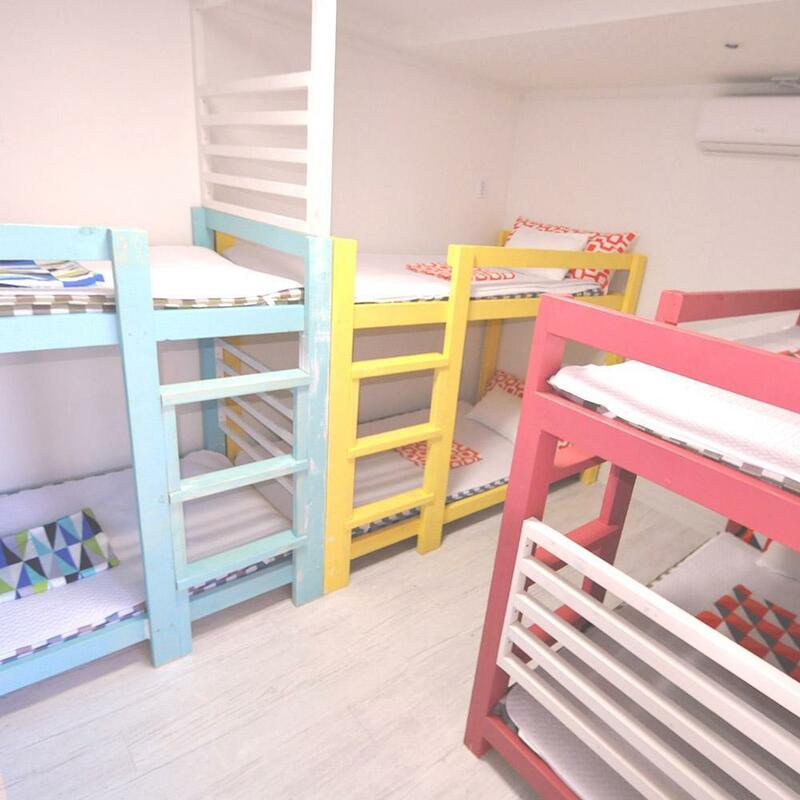 Jika apa yang Anda cari adalah properti yang terletak strategis di Pulau Jeju, pilihlah Slow Citi Hostel. Dari sini, para tamu dapat menikmati akses mudah ke semua hal yang dimiliki oleh kota yang aktif ini. Karena lokasinya yang strategis, properti ini memiliki akses mudah ke destinasi yang wajib dikunjungi di kota ini. Fasilitas dan pelayanan yang diberikan oleh Slow Citi Hostel menjamin pengalaman menginap yang menyenangkan bagi para tamu. Ketika menginap di properti yang luar biasa ini, para tamu dapat menikmati WiFi gratis di semua kamar, layanan taksi, check-in/check-out cepat, penyimpanan barang, Wi-fi di tempat umum. Nikmati fasilitas kamar berkualitas tinggi selama Anda menginap di sini. Beberapa kamar memiliki televisi layar datar, rak pakaian, perlengkapan menjahit, sandal, sofa, yang disediakan untuk membantu Anda mengumpulkan tenaga kembali setelah beraktivitas seharian Properti ini menyediakan sejumlah fasilitas rekreasi seperti jalur pendakian, memancing. Temukan perpaduan menarik dari pelayanan profesional dan sejumlah fasilitas yang ada di Slow Citi Hostel. good hostel, good location. We can use the kitchen for cook. Stayed 3 nights. 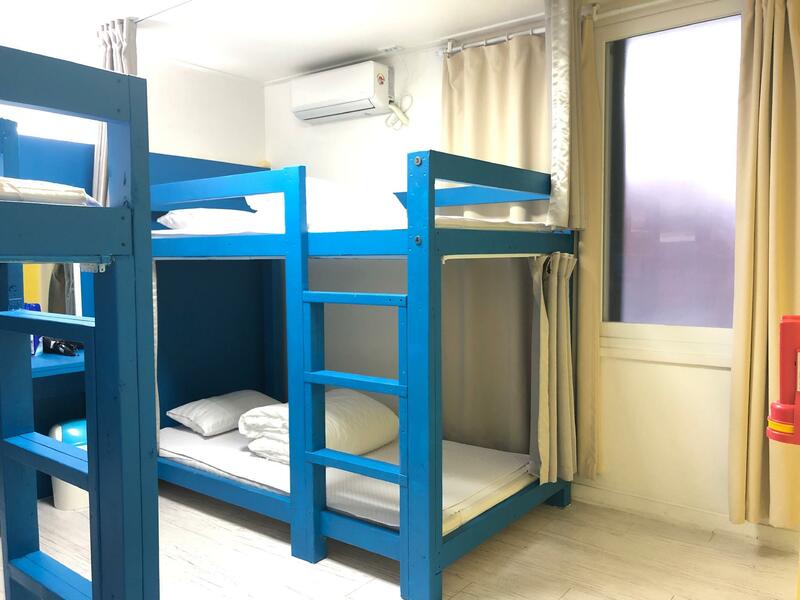 Within walking distance to the bus terminal in Seogwipo and JungAng Rotary (where many buses stop including the #181 and #182 from the airport). Cosy ambiance and a great Host. Kitchen facilities allowed simple meals to be cooked. Enjoyed my stay alot - met many friendly and nice co-travelers as well !! The location is very close to olle market about 5 mins walking. The owner is a nice guy. He is willing to check for us the places we wanna visit. Very basic breakfast.. bread n jam,cereal n milk.. that's it.. The room not so spacious but enough comfortably for 2. Friendly owner. 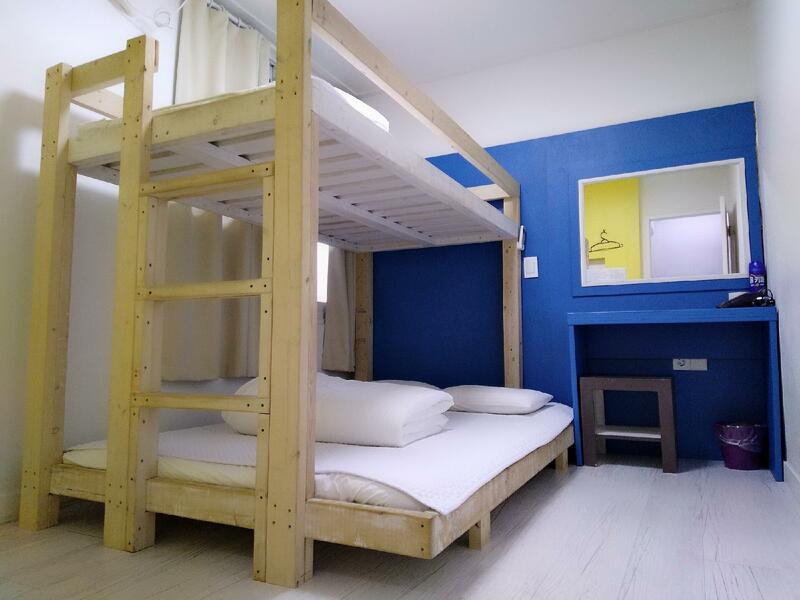 stayed here for our Jeju Trip and it and would recommend it to other budget travelers as well. rooms are clean and comfortable. Also it was conveniently located with lots of places to eat nearby as well as to bus stops to get around. friendly and helpful staff too! Staff was very friendly. Check in was done fast and staff was welcoming to us. Room was not big but toilet was spacious. Room was clean and came with a TV (could watch world cup!). Good location - many food options nearby. Parking was pretty easy with many lots nearby too (but better to return early as it gets difficult to find space if you return late). However, water pressure in the shower was weak - could be improved. 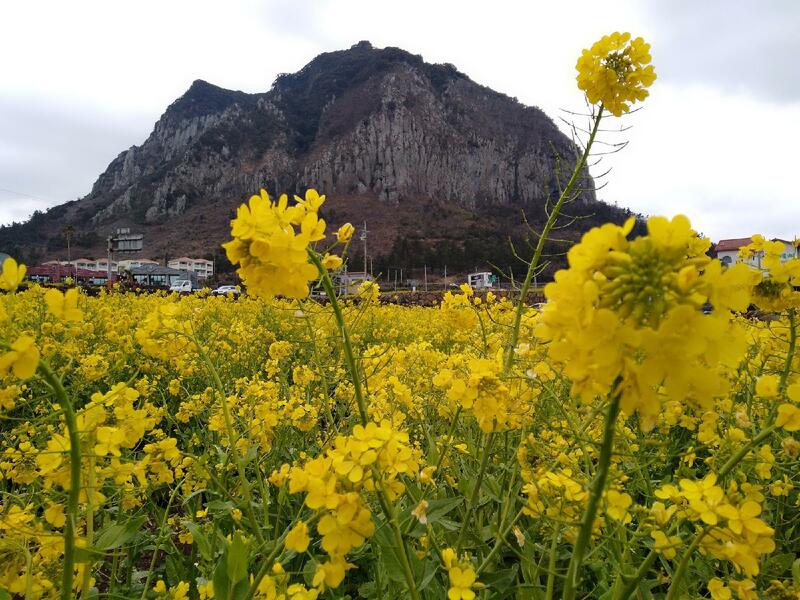 The best place to stay in Jeju Island is in Slow Citi Hostel. Great location, quiet, very close transport services and safe too. Pom, the owner, is friendly and very helpful. He provides free trekking to Hallasan every Friday during the winter months of January and February. Kitchen facilities are excellent. Rooms are very clean and the whole place is kept very well. Highly recommend this place for any type of traveler - singles, couples, families and children. Thank you for your feedback. We will use your feedback for future improvement. After traveling for several months, this is the first place that really felt like home. The staff went above and beyond, always kind and warm and helpful. Their vibe really set the tone for the place- the other travelers were also friendly, laid back and generous. The amenities were fantastic. Location was great- near lots of shops and cafes, and very close to public transportation. We loved this place so much!! Good place to stay for a few nights. 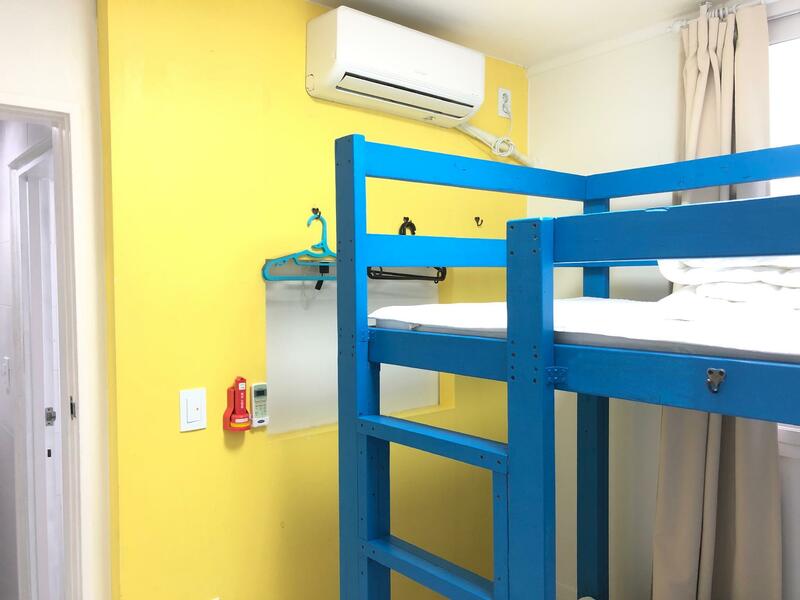 Basic rooms and basic amenities but at that price point it’s more than enough. Location is walking distance to markets and food etc. It seemed clean enough. The only thing I would recommend for the hostel is to check the air conditioner filters, they are very mouldy. I didn’t want to use it due to that, and especially with summer coming up, might want to fix it. One of the best hostels we've stayed at! Such good value, especially with the included breakfast. The staff were really helpful and helped us out finding the right buses and preparing for climbing Mount Halla! 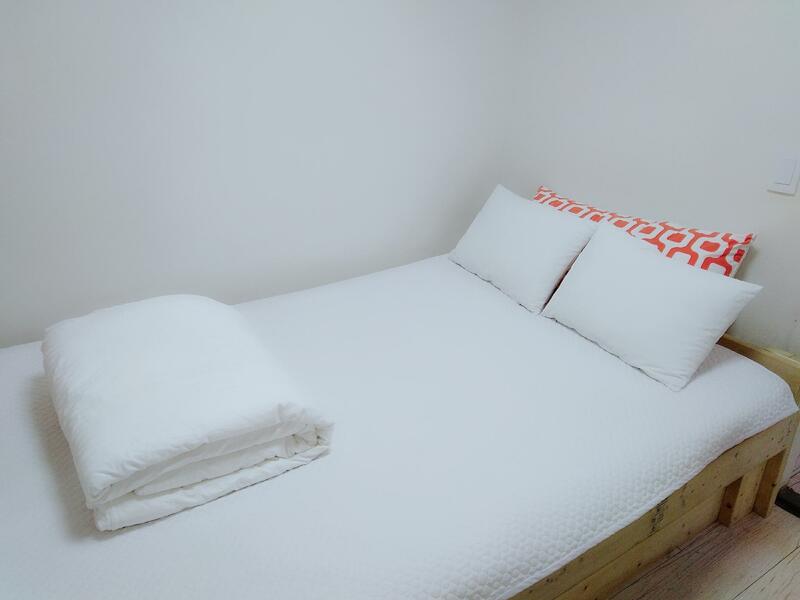 Very strategic place, close to jungang rotary, close to food alley and close to Seogwipo market. I love how welcoming this place feel. And the room is clean, with so many channels available on the flat screen tv. It feel so cozy even just staying in the room for the whole day. It is located near to Airport bus 181/182. The hostel is very clean. Simple breakfast with bread and cereal. Mr Pak is very friendly and helpful. Managed to take 1day tour arranged by him. The cons about this hostel, there is no lift in the premise. Towels provided are actually handtowels. No halal food nearby but there is a market where one can buy steamed seafood and sashimi. The location is amazing, it’s nearby the bus terminal and a number of bus stops. The Maeil Market and Lee Jung Seob Street are also within walking distance. The host was so nice and helpful the whole time. He even let me use his printer to print my flight boarding pass without a fee, and let me leave my luggage at the reception area after checking out since my flight was a bit later in the evening. Loved the whole vibe of the place, would definitely recommend to everyone especially solo travellers. Surprise! They provided every basic things you need in their guesthouse. 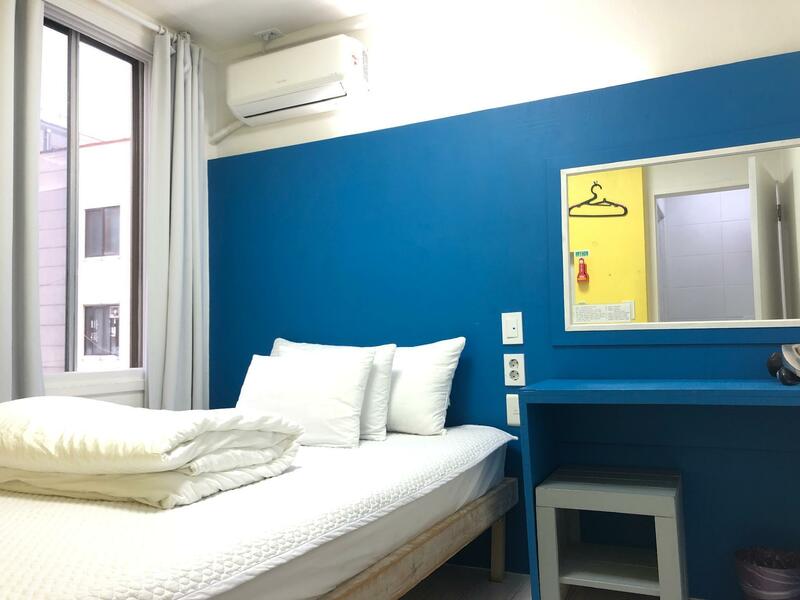 My first feeling is like home, the interior looks contemporary with warm colours kitchen is big and clean with full of equipments you can use for free, rooms are clean come with towel, toiletries together with toothpaste, shampoo and shower gel. The computer’s network running smoothly. WiFi is free and fast, full coverage as long as you are inside the guesthouse. They also serve free breakfast & coffee~~^^ Most of the foreigner guest are prefer to have breakfast and coffee in the guesthouse, because they have difficulty to speak local language in restaurants. House owner and staff are all very friendly. This is the best guesthouse I ever met! The location is very near Seogwipo Bus Terminal (Old), Arang Food Street & Olle Market. The bathroom is very big. Specially, we are really grateful to Mr. Sun and Big Boss for their warmth and kindness. We've had a really memorable experience with them. Thank you! Pro - Location is good with free parking lots nearby. The employee / owner offer to bring our luggage up to 3rd floor where our room is located. Hot shower is functioning well. We were given 6 towels with 2 nights stay. Breakfast is serve with bread, cereal, milk, juice and coffee from 8am-10am. Con - No television. 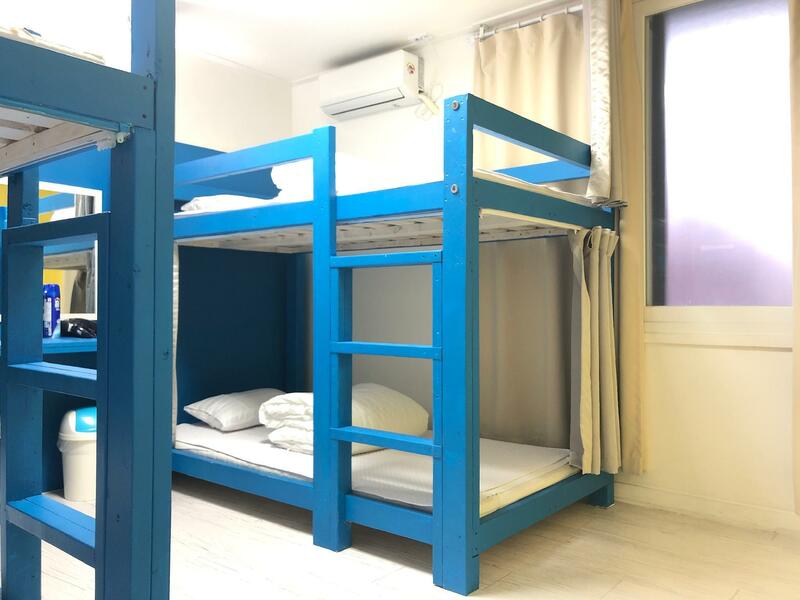 Hostel is located 5 mins walk (200m)from Jungang Rotary & Seogwipo Old Bus Terminal. New bus terminal is located at Worldcup Stadium/eMart. Its on the arang joeul food street with lots of reasonably priced food. Room & bathroom were clean with shampoo, conditioner, body wash & toothpaste. Simple breakfast of bread, jam, butter & cereals with milk is available from 8-9am daily. Guests have access to shared kitchen with fridge, stove, water dispenser & coffee machine. Hostel has a good supply of brochures & maps to discover Jeju. The owner Mr Park & Ying the receptionist are very friendly & knowledgeable. It was really a home away from home & I enjoyed my stay at Slow Citi. Keep up the good work.